If your open rates aren’t as high as you’d like them to be, the “from” information of your emails might be part of the problem. If subscribers don’t recognize you, why should they open that email. Fortunately, the trick to solving this dilemma is pretty easy. 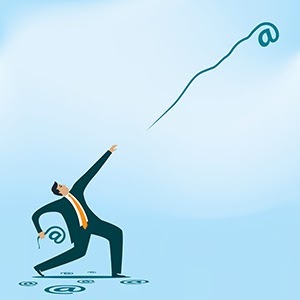 Here are 3 ways to help your subscribers recognize your emails and increase open rates. How do people most quickly and easily recognize my business or organization? If you serve individual clients, they probably know you best by your name. If you have a lot of customers, they might know you better by the name of your brand or store. You can even combine the two names (i.e. Jason at Email Contact) to take advantage of how they know you and build more personal relationships at the same time. Branded email addresses build confidence and should be easy to recongize, both of which increase open rates. Using a branded email address is especially important if you opt to use your own name as the from name, because if subscribers don’t recognize just your name, they’ll look at the from email address to figure out who you are. Generic from email addresses like info@yourbiz.com or no-reply@yourbiz.com do not build confidence or give people a reason to open your emails. In fact, a “no-reply” email address can look spammy. 3. Consider a branded subject line. It can be helpful to include your brand name in the subject line to make sure subscribers recognize you. Many times branded subject lines outperform unbranded ones, so it’s worth testing. Small changes like this can make a big difference. Spring Sale at Mary’s Crafts! Using Video In Email. Can It Be Done?